Asbestos fibers are too small to be seen with the naked eye, yet when inhaled they can cause big health problems including lung cancer. If you have asbestos-containing materials in your property, you need to take steps to remove the hazards they pose through asbestos abatement in Simi Valley CA. 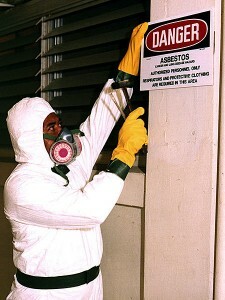 You can choose encapsulation, enclosure, or removal as your method of asbestos abatement in Simi Valley CA. The encapsulation method will result in asbestos-containing materials being covered with a sealant. The enclosure method requires an airtight enclosure to be built around the asbestos-containing material. Enclosure and encapsulation are temporary abatement measures. They will have to be monitored in order to ensure that no asbestos fibers are escaping. Asbestos removal, on the other hand, eliminates the hazard completely and permanently. Our asbestos removal office for Asbestos Abatement in Simi Valley CA is open Monday through Friday between 8:00 AM and 5:00 PM and closed for lunch from noon to 1:00 PM. With advance notice, projects can be scheduled for weekends, early mornings and evenings.